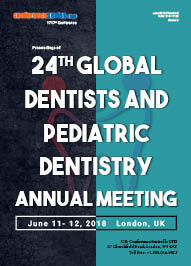 The Discipline of Clinical Dental Research has undergoing changes in scope, methods, instrumentation and technology which is driven by increased awareness of quality health care in developing countries and advanced biotechnological availability in developed world. It includes increase application of computer technology in diagnostic science, molecular methods, and clinical measurements, which in turn will affect clinical decision making with increased accuracy. The changes in pattern of oral disease have further increased the scope of clinical research with shift in focus of research to explore unknown etiological factor and etiopathogenesis. 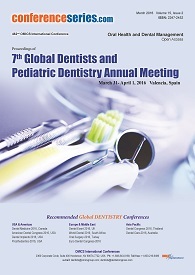 Hence the overall trend is towards the increased demand of trained and experienced clinical investigator in dentistry. Advancements in new dental technology offer better solutions for traditional oral health problems than ever before. The trend in dentistry is utilizing technology to make dentistry more comfortable, durable, efficient and natural-looking for the patient as possible. Patients benefit from advanced techniques that are less invasive and more dependable than the years of past. Procedures that formerly took multiple trips to the dentist or required multiple health care providers can often be performed in the comfort of one office by one qualified provider. There are much new advancement in dentistry that your dentist may choose to offer for an enhanced state of comfort and improved oral health. Orthodontics is a branch of “dentistry” that specializes in treating patients with improper positioning of teeth when the mouth is closed (malocclusion), which results in an improper bite. Orthodontics also includes treating and controlling various aspects of facial growth (Dentofacial orthopedics) and the shape and development of the jaw .An orthodontics specialist is called an orthodontist. An orthodontist uses a range of medical dental devices, including headgears, plates, braces, Implants, Cleft Lip and Palate etc. and use the recent advances in orthodontics like invisalign techniques. Oral Cancer: Pathophysiology the term oral cancer includes cancers of the mouth and the pharynx. Several types of tissue make up the mouth and oropharynx. Most cases of oral cancer are because of cigarette smoking, heavy alcohol use or the use of both tobacco and alcohol consumptions. The stage of oral cancer is one of the most important factors in evaluating treatment options. A stage I oral cancer tumor means the primary tumor is 2 cm across or smaller and no cancer cells are present in nearby structures, lymph nodes or distant sites. A stage II oral tumor measures 2–4 cm across and no cancer cells are present in nearby structures, lymph nodes or distant sites. The oral tumor is larger than 4 cm across and no cancer cells are present in nearby structures, lymph nodes or distant sites is stage III. Stage IV is the tumor has invaded deeper areas and/or tissues. Depending on the stage of Oral Cancer the type of surgery is recommended. Tumor resection is an operation to remove the entire tumor. Some normal tissue surrounding the tumor is also removed to ensure that no cancer cells remain in the body. Oral and Maxillofacial Surgery is an exciting and challenging specialty of Dentistry that combines dental, medical, and surgical knowledge and skills. Oral and Maxillofacial Surgery is the specialty of Dentistry that concentrates on the diagnosis and surgical management of oral and maxillofacial pathologic conditions, including epithelial diseases and mesenchyme disorders of soft and hard tissues. Dental materials are specially fabricated materials, designed for use in dentistry. There are many different types of dental material, and their characteristics vary according to their intended purpose. Examples include temporary dressings, dental restorations, endodontic materials, impression materials, prosthetic materials, dental implants, and many others. Periodontics is that specialty of dentistry which encompasses the prevention, diagnosis and treatment of diseases of the supporting and surrounding tissues of the teeth or their substitutes and the maintenance of the health, function and esthetics of these structures and tissues. The didactic areas of instruction include the normal periodontium at the macro and microscopic level, periodontal pathology including intra-oral lesions associated with periodontal conditions, periodontal microbiology and immunology, pain control and pharmacology applicable to periodontal treatments, cell biology, wound healing including periodontal regeneration, dental implantology, case management, epidemiology and statistics in Periodontology. Prosthodontists are experts in the restoration and replacement of teeth - they make smiles look beautiful and function the way they should. Maxillo-facial prosthetics, Implant-based prostheses, Management of temporo-mandibular disorders, Dentures, Crowns, bridges, and full or partial dentures are just some of the procedures that can help you regain your smile and improve your appearance and self-confidence. Another option is dental implants, a more permanent solution that has improved greatly over the last ten years, thanks to the pioneering techniques of prosthodontics. Orofacial myology is a specialized professional discipline that evaluates and treats a variety of oral and facial(orofacial) muscle (myo-) postural and functional disorders and habit patterns that may disrupt normal dental development and also create cosmetic problems. The Principles involved with the evaluation and treatment of orofacial myofunctional disorders are based upon dental science tenets. Green dentistry is a high-tech approach that reduces the environmental impact of dental practices and encompasses a service model for dentistry that supports and maintains wellness. Green dentistry meets the needs of millions of wellness lifestyle patients, and helps dental professionals protect planetary and community health, as well as the financial health of their practices. Together, green dental practices, green dental patients and companies offering green dental products are transforming the dental industry through adoption of the EDA’s green dentistry model. Reduces waste and pollution. You’d be surprised how much waste and pollution is generated by a single dental practice. Learn more. Cosmetic dentistry focuses on improving the appearance of a person's teeth, mouth and smile. Cosmetic dentistry provides elective – or desired – treatments or services. Cosmetic dentistry treatments currently in use include Inlays/Onlays, Composite Bonding, Teeth Whitening, Dental Veneers, Dental Implants, Smile Makeover, Full mouth reconstruction. Dental care is important to prevent dental disease and to maintain proper dental and oral health. Oral problems, including dental and periodontal infections, dry mouth, tooth decay, are all treatable with proper diagnosis and care. Over one third of the population has no access to community water fluoridation which causes serious oral health problems. Over 108 million children and adults lack dental insurance, which is over 2.5 times of the number who lacks medical insurance. American dental attains greater significance as it has taken the concepts of promoting oral health, and preventing oral diseases. 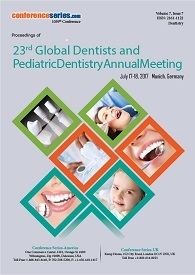 The significant role that dentists, dental hygienists, scientists, and other health professionals of Dental events will leads to the: safe and effective disease prevention measures exist that everyone can adopt to improve oral health and prevent disease. Dental Hygiene encompasses the relationship between oral health care and total body health. Providing individualized oral hygiene care requires knowledge in the application of principles of biomedical, clinical and social sciences. A dental hygienist has the opportunity to influence a patient’s overall health by providing knowledgeable oral hygiene treatment. The profession requires an interest in science and health care and, equally important, a desire to work with and help people. Dentists who specialize in public dental health are concerned with the positive dental well-being of a community rather than for singular patients. Their efforts focus on dental health education, community oral health programs and the overall prevention of dental diseases on a larger scale. Oral microbiology is a complex ecological system where up to 700 species of microorganisms that have been identified .Some of the predominant groups present in the mouth includes Streptococcus, Neisseria, Veillonella, Actinomyces and other obligate anaerobes. These organisms maintain a mutualistic relationship with the host by preventing pathogenic species from adhering to the mucosal surface. Oral microflorae can cause dental plaques and are also a common cause dental caries and periodontal disease. Oral disease in an individual can be caused due to a combination of lack of oral hygiene and factors influencing the ora microbial community structure, such as diet. An understanding of the oral environment and microbial interactions leads to understanding the main causes for the onset of oral diseases. Forensic dentistry is the application of dental knowledge to those criminal and civil laws that are enforced by police agencies in a criminal justice system. Forensic dentists are involved in assisting investigative agencies to identify recovered human remains in addition to the identification of whole or fragmented bodies; forensic dentists may also be asked to assist in determining age, race, occupation, previous dental history and socioeconomic status of unidentified human beings. Identification is done by the comparison of ante-mortem and post-mortem dental records and using the unique features visible on dental radiographs. Forensic dentistry or forensic odontology is the proper handling, examination and evaluation of dental evidence, which will be then presented in the interest of justice. The evidence that may be derived from teeth is the age (in children) and identification of the person to whom the teeth belong. This is done using dental records including radiographs, ante-mortem (prior to death) and post-mortem (after death) photographs and DNA. Forensic odontology is derived from Latin, meaning a forum or where legal matters are discussed. Dental anesthesiology (or dental anesthesiology) is the specialty of dentistry that deals with the management of pain through the use of advanced local and general anesthesia techniques. Dental anesthesiology is the discipline in dentistry that manages pain and anxiety through the use of local anesthesia, sedation, and general anesthesia. Dental Anesthesiology educates graduate, pre-doctoral, and dental hygiene students in the management of pain, fear, and anxiety associated with dental treatment. Dentist anesthesiologists trained to provide the entire spectrum of anesthetic services, which generally range from local anesthesia through general anesthesia, for a wide range of dental and surgical procedures. Faculty research involving dental anesthesiology has focused on the clinical efficacy and safety of anesthetics when used in both healthy and medically-compromised patients. Preventive dentistry is the practice of caring for one's teeth to keep them healthy. This helps to avoid cavities, gum disease, enamel wear, and more. Preventive dentistry prevents people from developing dental problems later on. Cavities, gingivitis, enamel loss, and periodontitis can all be avoided or mitigated with proper dental care. Operative dentistry concerned with restoration of parts of the teeth that are defective as a result of disease, trauma, or abnormal development to a state of normal function, health, and esthetics. Digital dentistry may be defined in a broad scope as any dental technology or device that incorporates digital or computer-controlled components in contrast to that of mechanical or electrical alone. This broad definition can range from the most commonly thought area of digital dentistry CAD/CAM (computer aided design/computer aided manufacturing) to those that may not even be recognized, such as computer-controlled delivery of nitrous oxide. 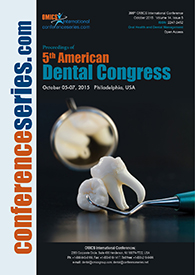 There are many other areas of digital dentistry available, and many more are being researched. It is an exciting time to be in the dental profession as more technologies are being introduced that make dentistry easier, faster, better, and — most important — enjoyable. Dental pharmacology is the study of drugs used to treat conditions of the oral cavity. Some of these drugs include antibiotics, analgesics, anti-inflammatory drugs and anti-Periodontitis agents. Dental pharmacology studies the effects of drugs and their use for preventive, diagnostic and therapy. Clinical pharmacology studies the effects of drugs and their use for preventive, diagnostic and therapeutic purposes. It is an interdisciplinary field that requires integration of physiology and pathophysiology. Assessment of the benefits and potential risks of drug administration and abuse, drug interactions and individual variability to drug response are also areas particularly relevant in clinical settings. It is an interdisciplinary field that requires integration of physiology and pathophysiology. Assessment of the benefits and potential risks of drug administration and abuse, drug interactions and individual variability to drug response are also areas particularly relevant in clinical settings. Pediatric dentists are dedicated to the oral health of children from infancy through the teen years. They have the experience and qualifications to care for a child’s teeth, gums, and mouth throughout the various stages of childhood. Pediatric dentists provides comprehensive oral health care that includes the Infant oral health exams, Pediatric Endodontic, Dental caries and Pediatric oral health research. Endodontic sealing materials for permanent obturation of root canals are highly variable both in chemistry of setting and in their additives. Conventional materials are based on zinc oxide-eugenol, rosin-chloroform, or synthetic resins. These have been extensively tested for biological and technical properties. Most materials are slightly or moderately cytotoxic, and some - notably paraformaldehyde-containing materials- have been associated with clinical complications such as paresthesia of the mental and/or inferior alveolar nerve. Recently, Ca (OH) 2-containing materials have been introduced with claims of improved clinical and biological performance. Every interaction between your dental practice and a patient is a component of marketing. In some cases, this will encompass concrete details like the way your office staff answers the phone or the list of services you offer. The need for better dental marketing has increased with the public’s awareness, as well as industry need to develop better services. Because of the flood of information on the internet, average new patient is more aware and educated concerning the aesthetic options available today from a dentist. As a result, a higher quality dentist is being requested that .they have to develop a Comprehensive Marketing Strategy. Dental marketing program is not complete without comprehensive internet marketing. By now, most dental practices possess a fairly upscale website. The next key to your cosmetic dentistry marketing plan is to constantly enhance the user experience of website.